Xenophobia is a fear, even a hatred, of foreign people, their colour, race, religion, hlanguage and customs. It is in essence a fear of the unfamiliar or unknown. The gentleman whose picture is appearing on the screen is supposedly a saintly man and is currently Chief Minister of India’s most populous state comprising of 200 million people of whom 60 million follow Islam, and in addition there are Christians, Buddhists, Sikhs, Jains and two large tribal communities. Obviously not a happy position for the minorities. The world is becoming smaller as people travel and enjoy the diversity of cultures; as the unfamiliar becomes familiar, as similarities become more apparent, as humanity prevails. As dress, cuisine and entertainment, friendships and even marriages cross cultural frontiers and as education becomes more global, xenophobia will diminish. Chicken tikka, noodles, pasta, pizza, sushi and the burger are now enjoyed in all parts of the globe. It is all a matter of coming face to face and appreciating and enjoying diversity. 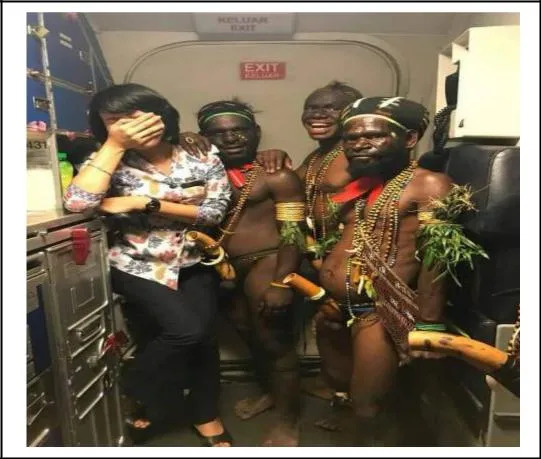 But if without preparation, you take tribals from Papua New Guinea and fly them into New York, they will suffer major culture shock (as also is this lady in this Singapore Airlines flight). 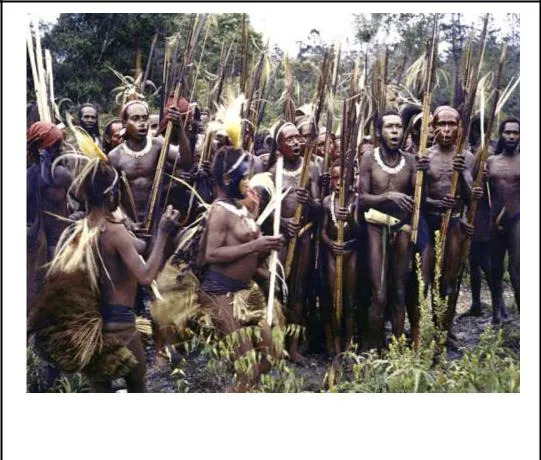 And if you place a New Yorker in the jungles of Papua New Guinea he may well be petrified. But as the unknown becomes known, the fear disappears. And it is an organization like AFS with its inter cultural network that helps smoothen this experience. However the world is divided into rich and poor, more educated and less educated, people with different skin colours and religious beliefs and so on. And there are leaders who have decided on policies of protectionist and aggressive nationalism. I would like to support Thomas Macwan when he says democracy is led astray when majoritarian ideology is seen as nationalism. We see peoples voting into office such leaders in the UK, India, Russia, the USA and China. This has to be a major concern for the supporters of Inter Cultural Learning and world peace. Two factors creating migration and therefore in bringing different cultures face to face are the desires for quality education and for employment opportunities. And these migrants are often perceived as threats in terms of being job grabbers, inferior persons and undesirables. And the easiest way of identifying migrants is by colour, clothing, language and customs. This was not always the case. The 6th Century B.C. was a period of unbridled feudalism in China and there we saw the emergence of Confucius whose teachings of peace remain relevant even today. Also in the 6th Century B.C. feudalism, caste discrimation and expensive religious rituals led to two feudal chieftains, Vardhaman and Gautam revolting against contemporary religious and social rigidity, which resulted in the emergence of Jainism and Buddhism. The partnership between the priestly and ruling classes has often led to religious and ethnic cleansing. And so we saw the migration in the 19th century of Roman Catholics to the USA and in the 20th century of Muslims to Pakistan, of orthodox Christians to Armenia and of Jews to Israel and USA. 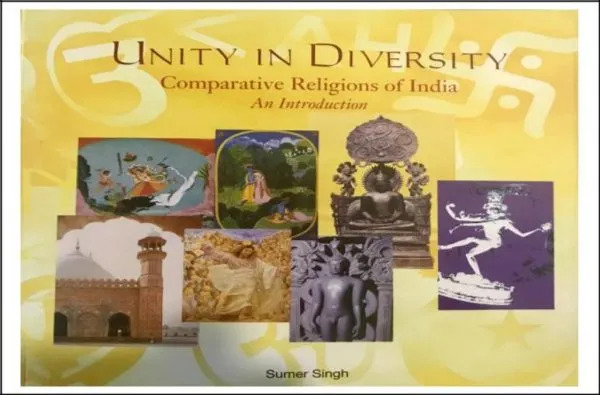 India gave birth to numerous tribal religions and to Hinduism, Jainism, Buddhism and the Sikh religion and all these are living in Harmony with each other. When in Iran the Zoroastrians were served with a choice between conversion and death, they migrated to India where the majority still live. When the Bahai’s were given the same choice later, also in Iran, they too migrated to India. And more recently the Dalai Lama of Tibet migrated to India with his many followers. Of course the Asian and African migrants are mostly coming from the former colonies where their British, French, Spanish, German and Portuguese masters taught them their languages and put stars in their eyes for the ideal homeland. Let us look at colour. 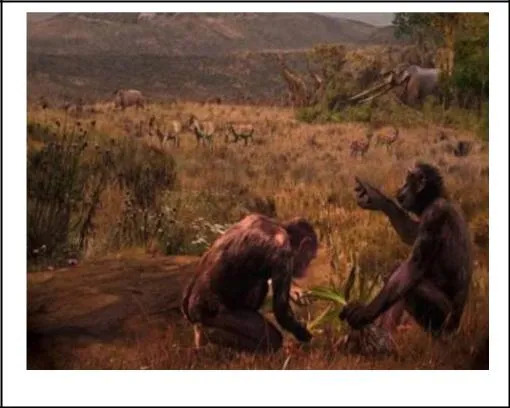 All of us originated some 7 million years ago in Africa. We migrated to different parts of the globe between a million and 30,000 years ago. Today we share 99.9% of the same genes. But depending on the intensity of sunlight in the region our ancestors settled, we have different levels of the pigment melanin. The more melanin we have the darker our skin, the more we have in the iris of our eyes the darker our eyes, and the pigmentation of our hair follicles determines the colour of our hair. Dark skin and dark hair protects us from higher levels of ultra violet rays. So how many people consider these facts as significant? Not many. 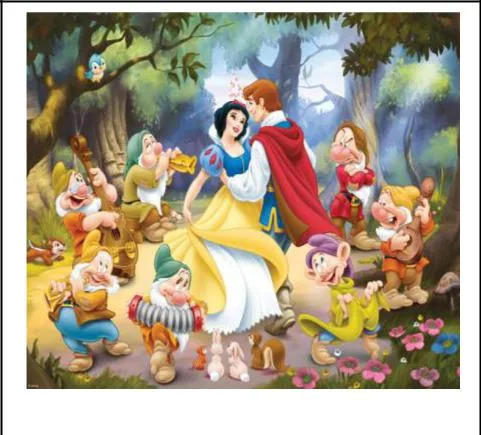 What is more accepted is the myth perpetuated by colonialism: White is more beautiful and Snow White is our proof. White is righteous which is why the White Knight on the white horse will always triumph over the evil Black Knight on his black horse. Whites are destined to rule over the inferior blacks as proven in the colonies and during the slave era in the Americas. 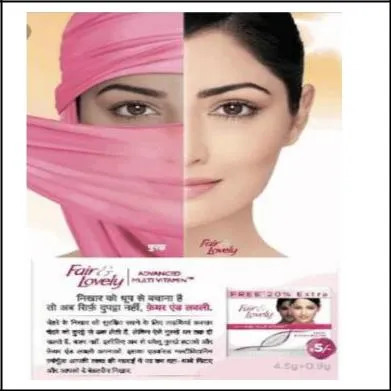 No wonder the global market for skin whitening products is worth close to 50 billion dollars annually. Another area of suspicion and fear is religion. Priests and political leaders have forged a mutually beneficial alliance in all societies as far back as history goes. There is even today religion in politics and politics in religion. 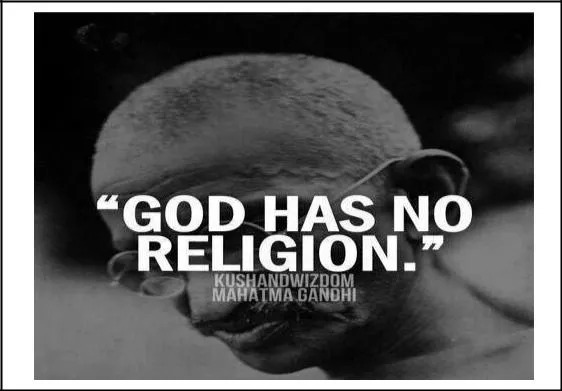 And strangely even though the essence of all religions is identical: love, compassion, service, non- violence and charity, the priests of each religion tell us their religion is the only true one and all others are false. We should distinguish here between the fruit and the peel, the code and the mode. Religion is not a cause for violence but it is our pride and ego that misuses religion. Gandhi has his own take on this. Hitler did not kill 6 million in the name of religion. Stalin did not kill 10 million in the name of religion, Mao did not kill multiple millions in the name of religion. The two World Wars were not religious wars. Pol Pot did not kill 3 million Cambodians in the name of religion. The Vietnam War was not a religious one, and ISIS has killed more Muslims than the Crusaders ever could. There have been and always will be extremists and even terrorists. These are criminals who shelter behind religion. The mistake we make is in labeling them Christian extremists, Muslim extremists, Hindu extremists, Sikh extremists and Buddhist extremists. They are simply extremists and do not represent the majority followers of any religion. The way forward is through a reformed education system. If thousands of years ago the people of Hindustan could accept the concepts of Namaste and Vasudhaiva Kutumbakam, why are we concentrating only on imparting subject knowledge which becomes outdated faster than a child can put it to use, and which is in any case available instantly at the click of a button, and supported by platforms like Khan Academy and Coursera? 98% children think differently to each other before they enter school; only 2% do so when they graduate. No wonder the innovators of our age did not complete their formal schooling. We need to concentrate on corporate, experiential, inter cultural, secular and spiritual learning, and impart values and ethics. 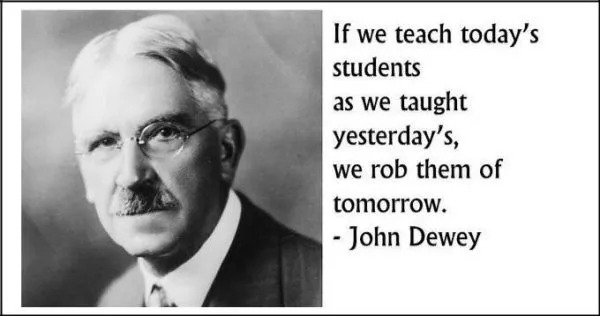 As John Dewy said, “If we teach today’s students as we taught yesterdays, we rob them of tomorrow”. Education has to become relevant. Comparative Religion needs to be studied as a subject. In fact religions of the world have the same essence, the same message, the same teaching. Whether it is Buddhism, Hinduism, Christianity, Islam, Sikhism, Judaism or the tribal religions, they all promote peace, non-violence, and service to humanity and triumph of good over evil. Most of them also promote the brotherhood of all humanity, the only exceptions being the religions of the book i.e. Judaism, Christianity and Islam. The conflict is not created by religion itself but by the way we interpret the text. Intercultural Learning and Transformational Schools are more important than grammar and trigonometry. The essential ingredients of education are mutual self respect, a conducive, liberal and peaceful environment, a clear understanding of concepts fostered by critical thinking, acquisition of skills and values, all resulting in development of character. I would like to thank AFS Czech Republic and Krystina in particular for the warm hospitality extended to my wife and I. AFS was born out of conflict and stands for peace through better understanding. In this endeavour I wish you all success.